What is the true nature of the world I see? Is there a God, creator, or source that made or is making me and the world I see? These core questions have given rise to philosophy, religion, science, and spirituality. Metaphysics is the study of principles underlying these, and all other, aspects of what we perceive as physical reality. Exploring and understanding the history of metaphysics and metaphysical thought can be a valuable process if it is used to evaluate the true nature of one's own knowledge and beliefs, and how they might affect your personal study of metaphysics. It is important to realize that much of what we accept as "truth" or "fact" might indeed be ideas and theories formed by the minds of people thousands of years ago. Just because an idea or philosophy "sticks" and is handed down generation after generation does not necessarily make it true or useful in our modern everyday life. As you explore the history of metaphysics through the links on this page, I ask you to test any statements and ideas you might encounter. Even though they were thought of and written about by some of our most respected and admired philosophers and scientists, keep in mind that it is not "knowledge" unless and until you experience and validate the truth of these ideas for yourself! 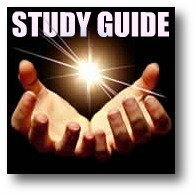 Visit the links below now, or go back to What Is Metaphysics to find definitions of metaphysics, why study metaphysics, and learn more about modern metaphysics. The word "metaphysics" is generally held to have come from the title given to one of Aristotle's works by the editor of his works Andronicus of Rhodes: Metaphysics, or in Greek, τα μετα τα φυσικά (the books that come after physics). Aristotle himself referred to the subject as "first philosophy". The Metaphysics was split into three parts, now regarded as the traditional branches of Western metaphysics, called (1) ontology, (2) theology and (3) universal science. 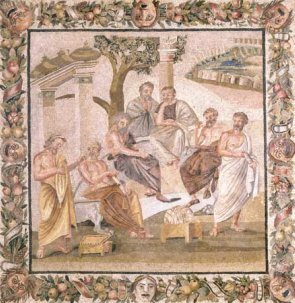 From Pythagoras, Socrates, Plato, and Aristotle We Learn Of Metaphysics. Each one of the great philosophers can find a common thread of agreement and perspective in previous history.